There are 7 results matching your search. 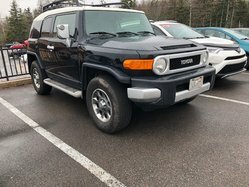 The best selection of used vehicles in Amherst, Nova Scotia - all brands combined- is located at Amherst Toyota! Located near Moncton, our dealership offers a large inventory of used vehicles, of all brands and all year models. What used car best suits your needs and your budget? Come see us to find out! Whichever pre-owned Toyota you are looking for, you will find it on our lot! Camry, Yaris, Tacoma, RAV4… you'll find it hard to make up your mind! Don't forget to take a look at our Toyota liquidation section where you will certainly dig up some real bargains! Also, each used car we sell has been inspected and repaired by our experienced technicians to ensure you are buying a car that is in exceptional condition. Whether you are looking for an SUV, a sedan or even a minivan, our different brands of pre-owned vehicles will give you the possibility of taking advantage of the largest selection of used vehicles in Amherst near Moncton: Kia, Chevrolet, Honda, Ford, and many others! You are sure to find what you are looking for in our selection of vehicles, and if you don't see it, we'll help you find it! 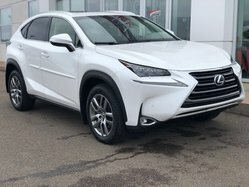 At Amherst Toyota in Nova Scotia, whether you choose a new or used Toyota vehicle, you will get the chance to take advantage of great Toyota financing rates; just fill out our online credit application and one of our financial experts will contact you shortly. Have you experienced financial difficulties? Been through a divorce? You have a non-existent credit history or are self-employed? Don't worry about it because our many financing products and even 2nd and 3rd chance credit will allow you to buy one of our used vehicles in Amherst, while respecting your ability to pay. Learn about our various products today! 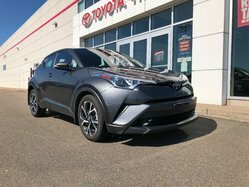 For more information on our different second-hand vehicles in Amherst, visit our website or come see us at Amherst Toyota, your trusted dealer in Nova Scotia, to book your test drive!